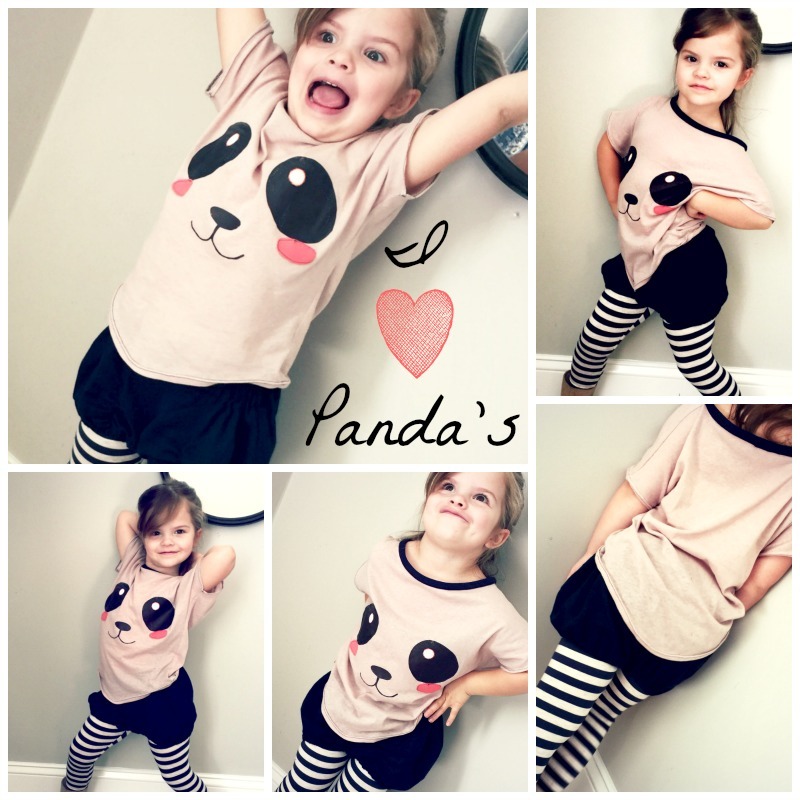 Today’s outfit for KIDS CLOTHES WEEK was inspired by Panda’s. 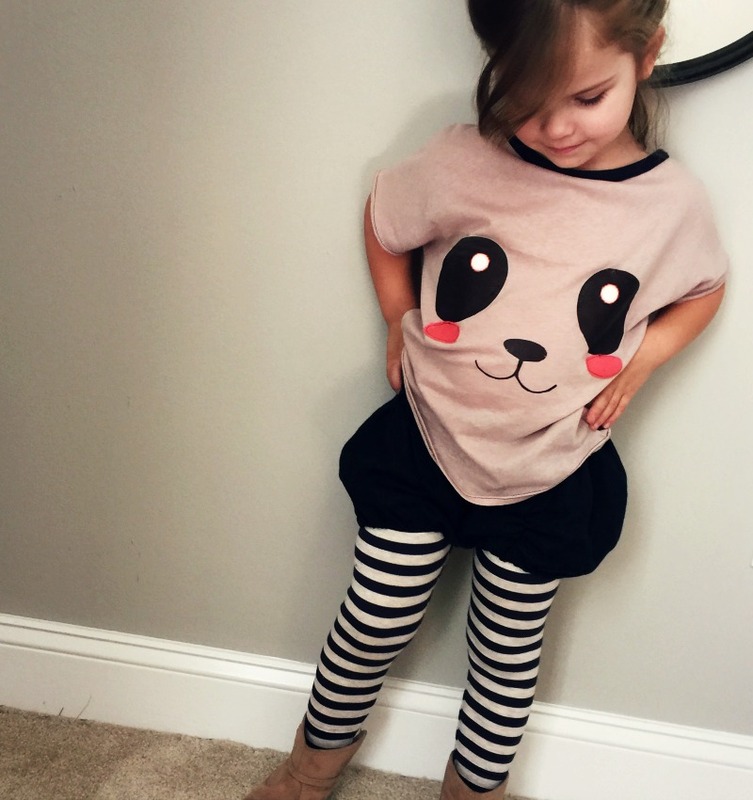 Both me and kids loves the WILD theme and we will just not have time to fit in all our favorite wild things but Panda is high on our list. For the shirt I found a Panda face online, made it bigger and printed it out on Avery transfer iron-on for dark fabrics. The rosy cheeks is coral knit appliqued to the shirt. I appliqued around the eyes and the mouth because my kids loves to pry those iron on images off. The knit for this shirt is a very soft buttery knit from Girl Charlee . 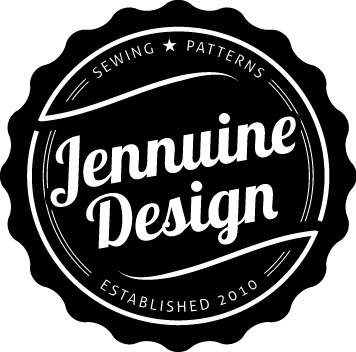 I used the Rowan Tee pattern from Titchy Threads – omitted the sleeves and lengthened the shoulders into a drop shoulder , widened the neck opening and added a curved bottom. 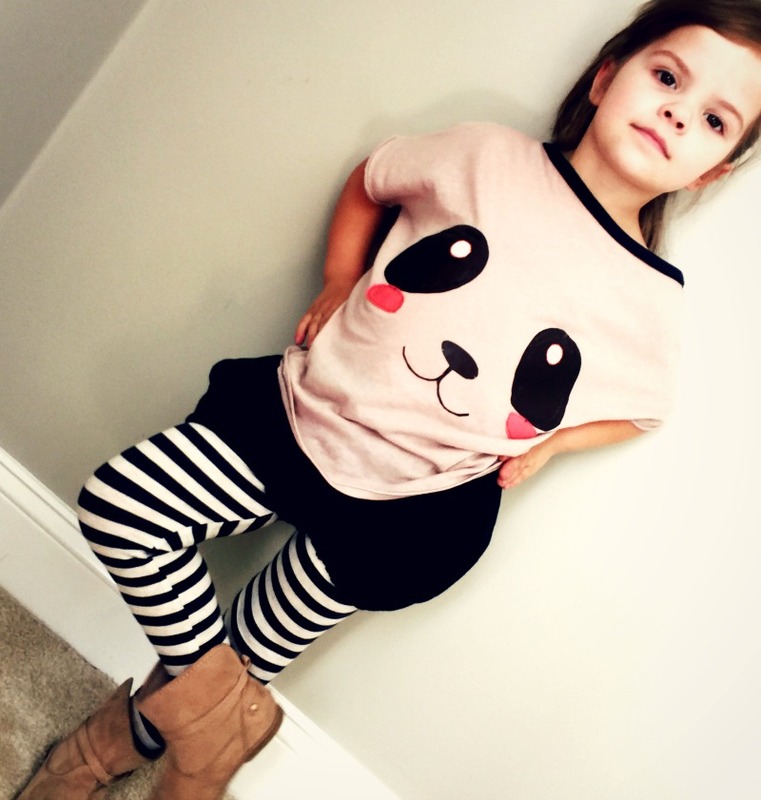 The pants is the Go to Leggings Pattern and the striped knit is also from Girl Charlee. This kid has so many poses lately I am not sure which ones to use – See you tomorrow! 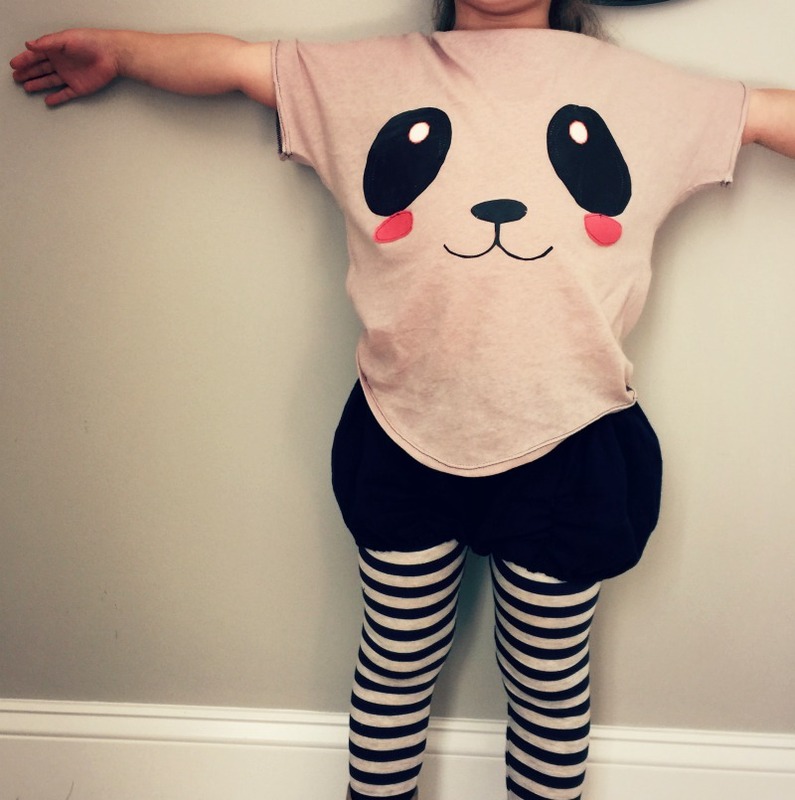 and Remember to join in on the fun over at Kids Clothes Week…..